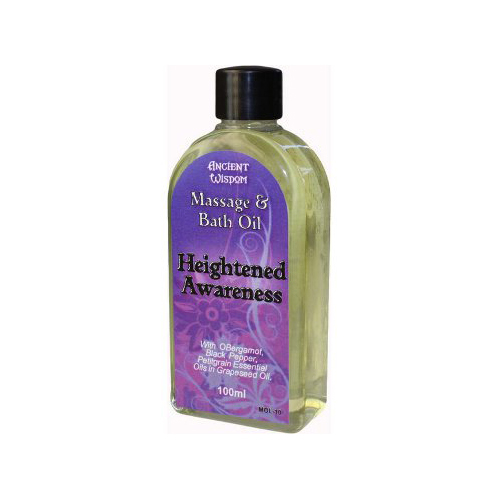 Heighten Awareness massage oil is blended to have uplifting qualities. Ingredients: Bergamot, Blackpepper & Petitgrain Essential Oils blended in Grapeseed Oil. Heighten Awareness massage oil is blended to have uplifting qualities. The blend of citrus and blackpepper work together to stimulate the senses. The essential oil blend also has a favourable effects on the skin such as helping with acne, pore cleansing and skin toning to name but a few. Allergens: Limonene, Linalool, Geraniol and Citral.